Whoever submitted this pic has got to have some of the worst spelling I've ever seen on this website! I honestly think that the people who say Cole is a bad power ranger are overexaggerating things. Cole's not THAT bad of a Power Ranger. Cole is a lot better than the Blue, White, and Black Wild Force rangers. 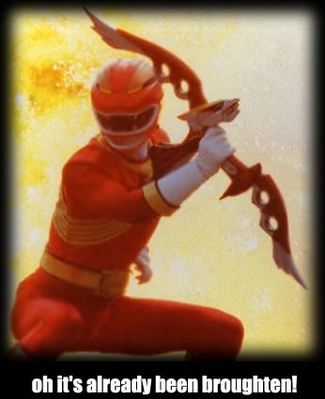 Cole is also a way better ranger than any of the Alien Rangers; Zack; Justin, T.J.; Damon; the yellow, blue, and green Lightspeed Rescue rangers; the blue and yellow Time Force Rangers; Dustin; Hunter; Blake; Jack; Z; Kat (PRSPD); the Omega and Nova rangers! now who's overexagerrating? cole's acting seemed so fake and forced, and the way he dressed looked so gay lol. Oh really?! Well how can the headband looks gay on him? how would you know that!! and yes i agree heis acting and leadership sux!! !